Hi there. I just went into Silver Safari for the first time. I had been walking around the mall for about an hour looking for a place that sold body jewelry. Not finding what I was looking for I started heading for the exit when I looked up from my phone and saw our store. I was greeted and helped by a very beautiful and friendly woman named Sierra. She was very friendly and has good knowledge of all your products and services. I will def be returning for any piercing or jewelry needs I have in the future. I always appreciate it when I go into a business and the staff is welcoming and helpful. Keep up the good work and thank you again. ~Bert H.
I received my first piercing here when i was 16. Since then I have gotten 2 more done here and will return for all my others. Love the people and love how the customer service is. :) Thanks again you guys! ~Bethany S.
I thought when I moved up to Bellingham I wouldn't be able to find a really good piercing shop. Boy was I wrong! Silver Safari is so professional yet very friendly and welcoming. Wendy, who pierced me was quick to fill me in on information and so patient with me when I wanted to hop out of the chair to see my piercing even though she wasn't finished yet! Also how they offer check ups for your piercings is amazing, I've never heard of that! I will definitely be coming back and I will spread the word to my friends and family. ~Brittany B.
I got my Septum pierced by Becky at Northtown Mall. She was amazing. Couldn't have asked for a better experience. Thank you! ~Jordan R.
I wanted to get my ears pierced and thought it could only be done with a needle. That scared me. Becky said "no problem, we can do it with studs". She used a piercing gun and showed my dad that it was sterile and disposable. I have pierced ears! Yay! ~Tamara B.
I live in Vancouver, Canada and every time I go to Bellingham, I have to stop by Silver Safari to get new jewelry or a new piercing. I love their prices and service. ~Chantel A.
I thought my piercing was closed. Derek used a taper and my piercing was still open so he put jewelry back in for me. I am so happy I didn't have to be re-pierced. He could have taken my money and re-pierced me, but he said "let's try this first". I bought the jewelry and he put it in. Great job! ~Jonny R.
Awesome job on piercings and customer service. I love the option to numb. ~Sue S.
I love it - it's clean, the people are friendly and informative. I've gained more knowledge and they don't make me feel like an idiot for asking questions. ~Kelly W.
Very clean and sterile and good selection of jewelry. ~ Joe T.
It's the only place I take my daughter to get pierced. I trust Silver Safari. ~Fawn L.
My favorite piercer is Jax. She always make me feel comfortable and she does a great job. I feel like she really cares about me and my piercings. I won't go to anyone else. Becky always make me laugh so I won't be so nervous about getting a piercing. My mom let me get pierced at Silver Safari because they were in the mall and she liked the store. ~William D.
I was really scared to get my belly button pierced and Georgie was so nice to me and she got me through it. She did a great job. ~Hallie L.
This is the best place to get a piercing. What do I love about Silver Safari? The staff, the jewelry, the store and good atmosphere. ~Lisa K.
I really like the services that Silver Safari has to offer. I'm definitely going back! I like that I got to pick out my jewelry. I have very sensitive skin and have to be careful with what jewelry I wear. Silver Safari had what I needed. 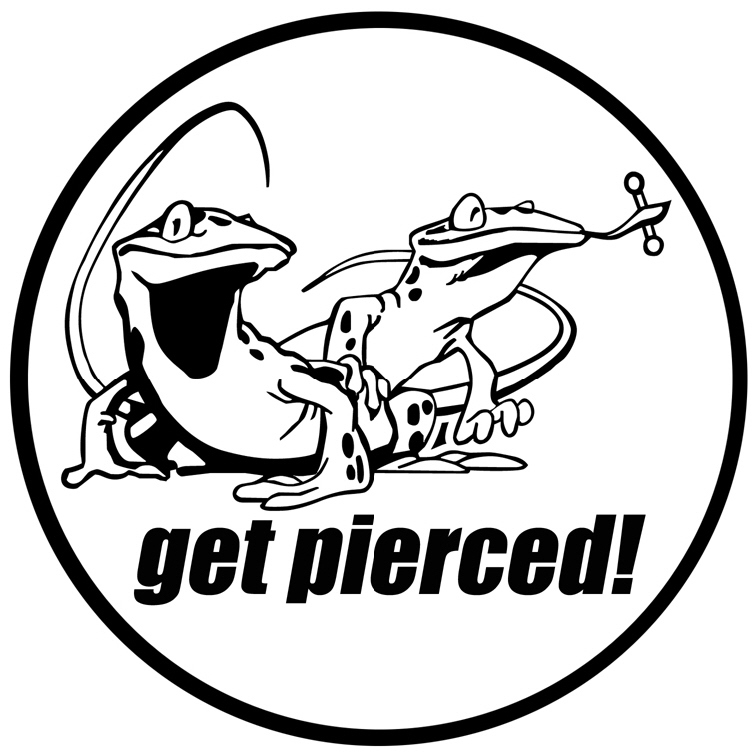 ~ Susan W.
Do you have a favorite piercer you would like to acknowledge or did you have a positive experience you would like to share?